Alexander Aribalov is an Evenki reindeer herder who lives on the vast steppes of the Sakha Republic in Siberia. His grandfather herded 14,000 domesticated reindeer, which he bred for clothes and food - a job their family have been doing for generations. 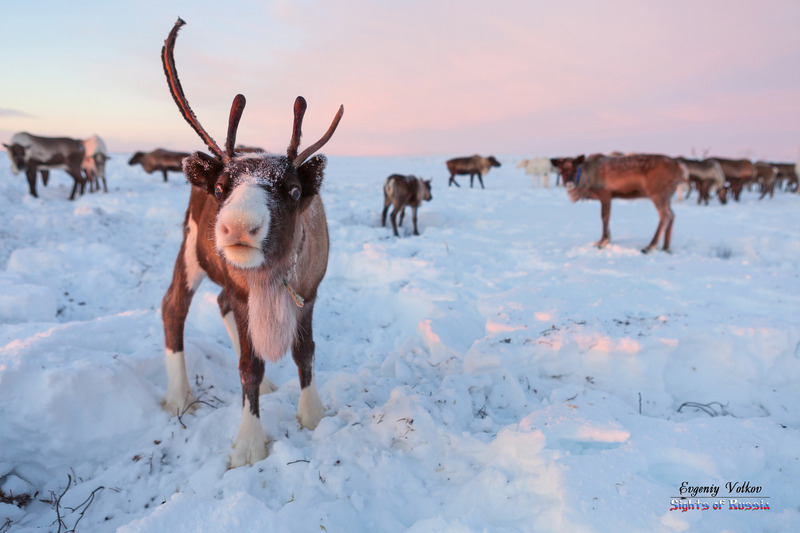 When the coal industry moved in, open-pit mines destroyed many of the reindeer grazing grounds, forcing reindeer to change their grazing patterns. Today, Alexander herds a mere 4,000 reindeer and struggles to put food on the table at the end of each day. His fate is shared by 300 million other indigenous peoples who live in countries endowed with large oil, gas, mineral, hydro and timber resources from the Americas to Scandinavia, Russia and Asia. As we celebrate the international day of the world's indigenous peoples, we must address how indigenous peoples are robbed of their right to sustainable development, now and in the future. Resource extraction could be a pathway to economic prosperity, but indigenous peoples rarely benefit from the revenues generated by the industry. Instead, they bear the brunt of its environmental and social impacts and remain the most impoverished populations in the world. In Ecuador, for instance, the Quechua's ancestral land is home to the 500km transandean pipeline which has spilled an estimated 16.8 million gallons of oil since 1972, representing one and a half times the Exxon Valdez spill. Indigenous peoples have historically been economically and politically marginalised. Their land tenure system is systematically challenged by nation states. They are rarely included in decisions-making processes related to the planning and monitoring of large extraction projects, let alone decisions over who should benefit from the revenues generated by these resources. "Resource extraction could be a pathway to economic prosperity, but indigenous peoples rarely benefit from the revenues generated by the industry"
Most often, consultation is tokenistic and leads to division within communities, although a handful of successful mechanisms for natural resource co-management have been established. When indigenous leaders stand up against mega projects, the cost can be detrimental. Berta Cáceres in Honduras is one of the latest casualties in a struggle that pitches unarmed communities against billion-dollar investors often backed by military or paramilitary forces. Yet, free, prior and informed consent (FPIC) is now a well-recognized principle in international law. In theory, indigenous peoples have the right to give or withhold their consent for industrial projects that affect their traditional land and customary practices. The UN Declaration on the rights of indigenous peoples reinforces this principle, stating the need to meaningfully consult indigenous peoples prior to the approval of any project affecting their lands. States also need to provide effective redress mechanisms to mitigate adverse environmental, economic, social or cultural impact. ILO Convention 169, which predates the UN Declaration, also guarantees the rights of indigenous peoples to exert control over their land and resources. Unfortunately, but perhaps not surprisingly, many resource-rich countries with large indigenous populations have refrained from ratifying the Convention, including the US, Canada, Australia, Russia, Sweden, Finland, and the Philippines. Interestingly, some of these same countries (US, Canada, the Philippines) are engaging in a number of mandatory and/or voluntary disclosure initiatives focused on the extractive sector. Acknowledging that this sector is more prone to large-scale corruption, these initiatives promote payment transparency, foster corporate accountability, and support financial reform. "Transparency activists and indigenous rights activists have not been good bedfellows in the past - but this can change"
One such initiative, the Extractive Industries Transparency Initiative (EITI), brings together representatives of civil society, governments and companies to establish and implement a transparency standard for the extractive sector. The EITI could provide a crucial opportunity for indigenous peoples to participate in decision-making processes related to natural resource extraction which affect their territories. However, the EITI standard also lacks any reference to indigenous peoples. The EITI and its civil society constituency have failed to properly reach out to communities and represent them on its International Board. The EITI could learn from the Forest Stewardship Council, a voluntary, multi-stakeholder forest certification scheme, which developed a core principle more than 10 years ago to uphold indigenous peoples' rights of ownership and use of land and resources. As anti-corruption activists, it is our responsibility to reach out to indigenous peoples affected by the resource curse, to engage them in the transparency movement and effectively support their political mobilisation. Publish What You Pay and its partners need to ensure that indigenous peoples are meaningfully represented in initiatives such as the EITI. Transparency activists and indigenous rights activists have not been good bedfellows in the past - but this can change. Once we end indigenous peoples' chronic invisibility, people like Alexander will be able to shape the laws and processes that affect indigenous lands, rights and revenues.